Get ready to get tickled! Part-joke countdown and part funny talk, Eat.Sleep.Joke.Repeat. 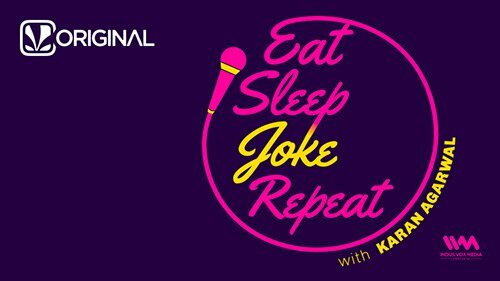 is a humour show hosted by funnyman Karan Agarwal. Every episode Agarwal is joined by a different stand-up comic and together they present a countdown show featuring some of the funniest jokes by the hottest talent in the comedy scene.